The American artist Charley Harper (1922–2007) became famous for depicting birds and other wildlife using only simple shapes. Instead of drawing small details, he captured a critter’s character by highlighting its easily recognized features—the big bill of a pelican, for example, or the tall tail of a roadrunner. This sticker kit holds lots of simple shapes you can stick together to make pictures of 12 different birds like those drawn by Charley Harper. 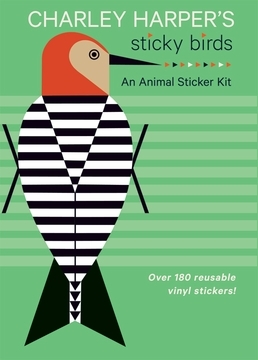 At first you might want to use the stickers to copy the way the birds look in the booklet. After you get the hang of it, you might try making those 12 birds without looking at their pictures. 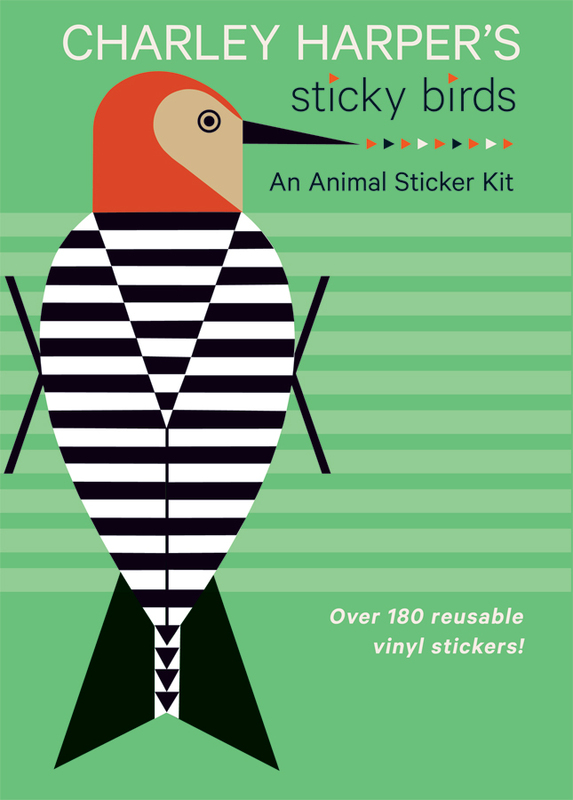 Or you can make up your own sticker birds! 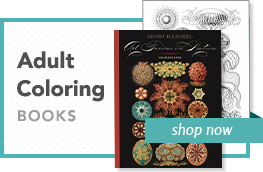 You can have hours of creative fun stickering alone, and even more fun stickering with friends. 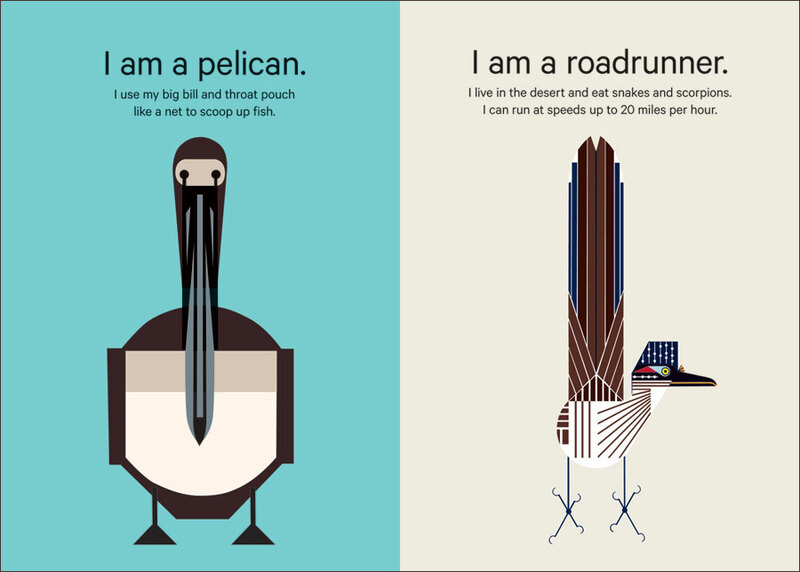 See who can put together a bird the fastest. 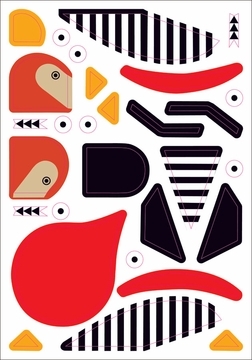 Or use the stickers to make up your own birds, and then ask your friends to guess what they are. Happy stickering!